The Mayne Tigers celebrated their successful season again on Friday night at the annual Club Champion Dinner held at the Enoggera Bowls Club with the largest turnout in years. After celebrating the Triple Premiership effort in both senior grades for most of the week there was still plenty of cheer left in the group to come together and recognise the individual efforts of the best players for the 2016 season as well as recognising the efforts of the loyal band of volunteers. The winner of the 2016 Keith Beavis Club Champion Trophy for a breakout year was Zac McLean. McLean, while still only 20 years of age, has now played in all three premierships. In a sign of his growing maturity McLean thanked his family and numerous other people for his success this year but singled out Club Captain Caleb Brown for his mentoring and personal support over the last year. He attributed some confronting advice from his peers to knuckle down and make the most of his ample talent at the end of 2015 to lifting his performance to a new level. The hard work over the summer break with extra sessions with Brown and coach Danny Craven clearly made the difference for him. In a great sign for the Tigers, McLean told a delighted Tiger audience that he was looking forward to doing it all again in 2017. 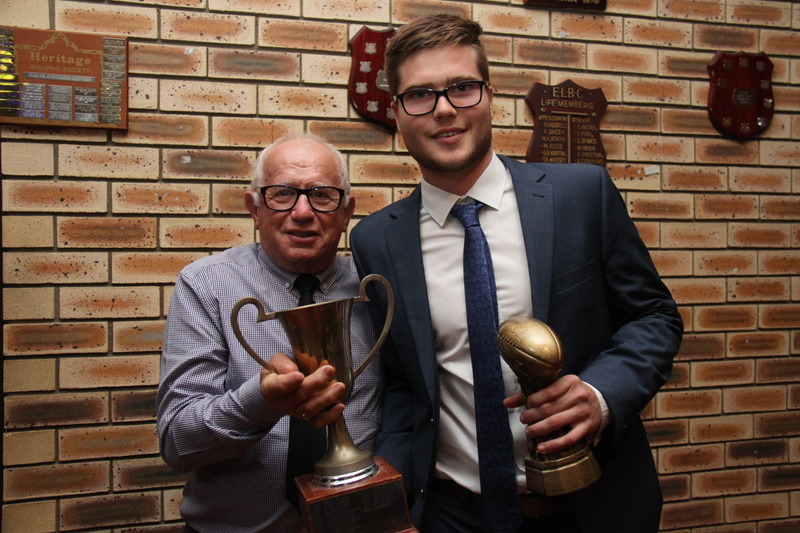 In another superb season Club Captain Caleb Brown took out the Runner Up Best and Fairest Award for the fourth time in a remarkably consistent performance over a career of thirteen seasons with the Tigers. Brown has won the coveted Club Champion Award on two occasions and his passion for success still shines brightly. Brown congratulated McLean for his win and was very pleased to see his young protégé achieve his success. In awarding Brown with his trophy Coach Danny Craven highlighted that he has never seen a player approach his preparation with more professionalism in his many years of coaching. In the other awards for the senior group, there was much to reflect on with numerous players now having achieved multiple premiership success at the Tigers. The Mick Nolan Player’s Player Award went to defensive supremo Dean Hartley while his other backline colleagues also figured highly in the awards with Bill Stephens taking out the One Percenter Award, Tom O’Malley the Best Player in the Finals and Josh Harvey the Rising Star Award and the Everton Districts Sporting Club Award for best local talent emerging into the Senior ranks. In recognition of another solid season Jack Collings was awarded the Most Consistent trophy by Coach Clint Brunnenmeyer who anointed Collings as a potential club leader of the future. Josh Duffy received the Coaches Award while Jasper Craven was recognised as the Most Improved for season 2016 for his efforts in taking his game to a new level. 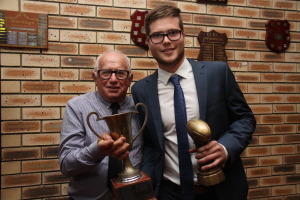 Chris Paterson was a very deserving winner of the Best Clubman Award having played in the Seniors, Reserves and Thirds as well as coaching the Thirds after returning from a knee reconstruction in 2015. In other awards, Jamie Ivers and Ryan Eyles shared the Graham Walters Best and Fairest Award for the Reserves while Chris Azzopardi was the Best and Fairest in the Thirds and Nick Holleran took out the Best and Fairest in the Colts. Volunteers at the Tigers were also recognised with John Laing once again awarded the Jack Kennedy Best Club Person Award for the second year in succession.